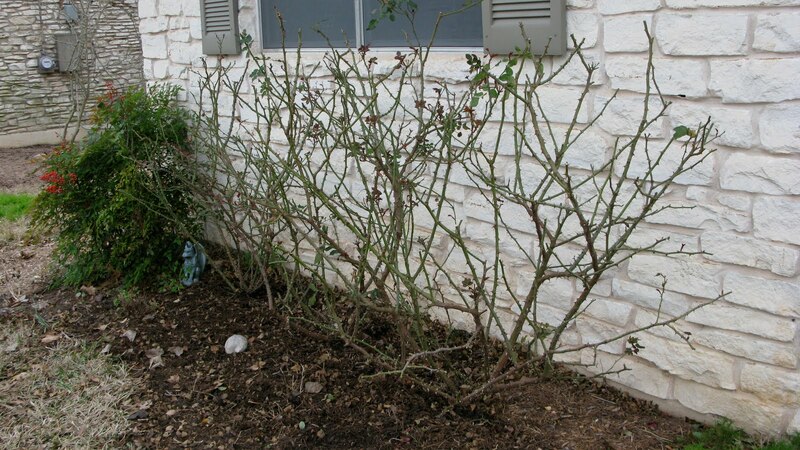 As most Austin gardeners know, Valentine’s Day is the time for pruning the rose bushes. Last sunday I cut back the Knockouts pretty significantly. I found these instructions in a flower gardening book, and I’ve used them for a few years now. 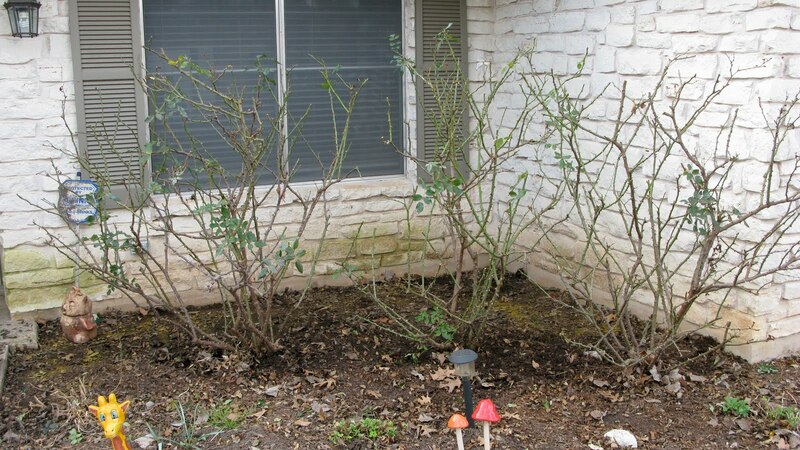 I added number 4 myself after discovering how quickly the rose bushes recover. 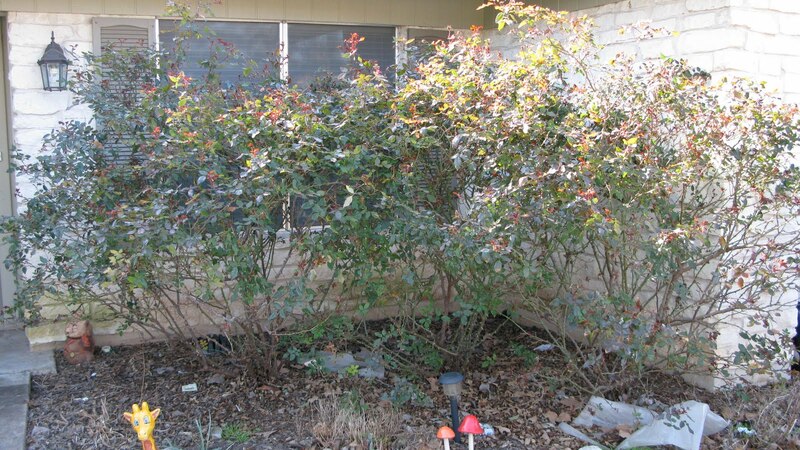 I was scared my first year that I had over-pruned, but they came back to over 6 feet tall by the end of the season.